It’s probably best to let singer and keyboard player John Paul Strauss describe the rationale behind this album. ‘During the time we were working on the most recent Ten Jinn release, ‘Sisyphus’, came the very sad news about the passing of David Bowie. 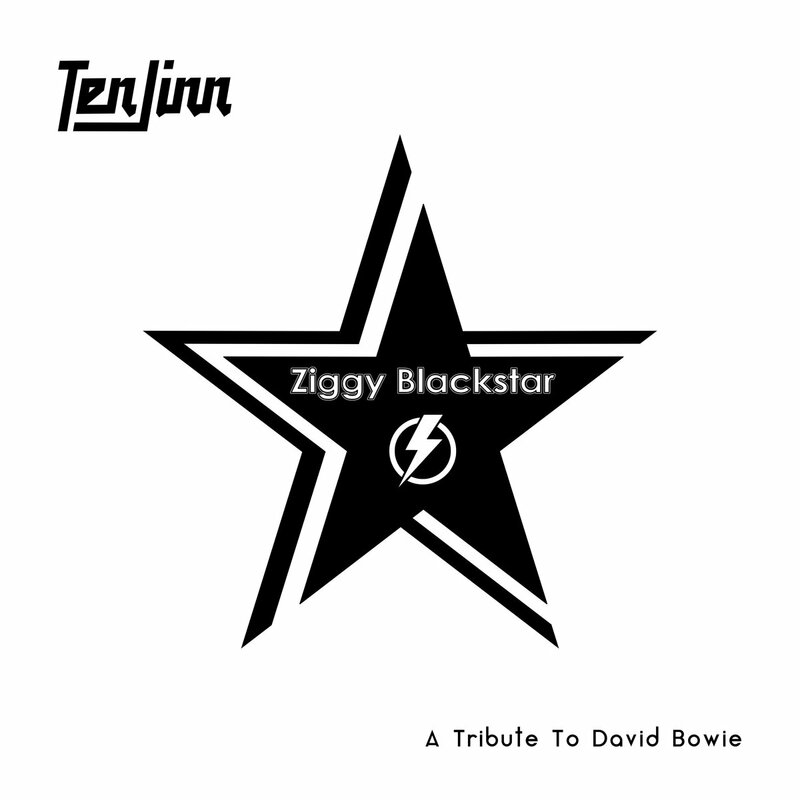 At the time (though we were very busy with working on the album and dealing with the upcoming release in 2017) I suggested to the other Ten Jinn members that as soon as ‘Sisyphus’ was completed, we should record a David Bowie tribute record before preparing for live shows or recording the next Ten Jinn record, ‘Worlds (the Four Worlds of the Hopi)’. While I was very excited about the prospect of playing live again and getting on to ‘Worlds’ (I even completed the first draft of the score) I felt very strongly about taking this detour in order to pay my respects to an artist, who was probably the single most important influence in my development as a musician in general and vocalist in particular. I can’t be the only person who never expected an album like this from Ten Jinn. Since their second album, 1999’s ‘As On A Darkling Plain’, they have cemented a reputation as one of the most interesting progressive rock bands around, so a Bowie tribute album isn’t exactly what one would expect. There haven’t been many progressive bands who have recorded whole albums of covers (Dream Theater, of course, taking it to the extreme by re-recording complete albums, often very well indeed), let alone of music that is so far away from what one would expect. What I also found interesting was the track selection, as while of course there are many hits, there are also many missing which one may expect on a collection like this, such as ‘Ashes to Ashes’, ‘Space Oddity’, ‘Suffragette City’, ‘Rebel Rebel’, ‘Young Americans’ etc. There is the feeling that here is a very personal collection, one that has a collective cohesiveness which works incredibly well. What I really enjoyed about the album is that although they have stayed close to the originals, they have also allowed themselves to put their own stamp on the songs. They have played it fairly straight, and consequently, it has worked exactly as it was supposed to, namely as a tribute. One of the real standouts has to be ‘Dead Man Walking’, which originally featured on the 1997 album ‘Earthling’. While much focus will be on the wonderful acoustic guitars, funky percussion or superb vocals, what really makes this such an essential song is the wonderful fretless bass which adds so much class, warmth and emotion to it. Strauss’s vocals throughout are exemplary, and the whole band sound as if they have been performing Bowie songs their whole lives, such is the skill and joy they bring to this collection. This is a must for any lover of Bowie, as rarely is his material treated with such care.